Millbrook golf course and resort is located in a beautiful and historic suburb called Arrowtown, which sits along side Queenstown in the Central Otago region. Arrowtown is one of New Zealand's most exclusive suburbs and most famous for its gold mining history and world class golf courses. The Millbrook golf course itself is quite simply a breathtaking environment to tee off at and provides extraordinary photo opportunities at every turn. The championship golf course offers three fabulous nine hole courses, each one is named after local prominent Queenstown landmarks including 'The Remarkables', 'The Arrow' and 'The Coronet Nine'. Set in a natural alpine amphitheatre against the backdrop of the Remarkables Mountain Range, this 27 hole Millbrook golf course exploits the dramatic terrain fully, delivering world-class golf. 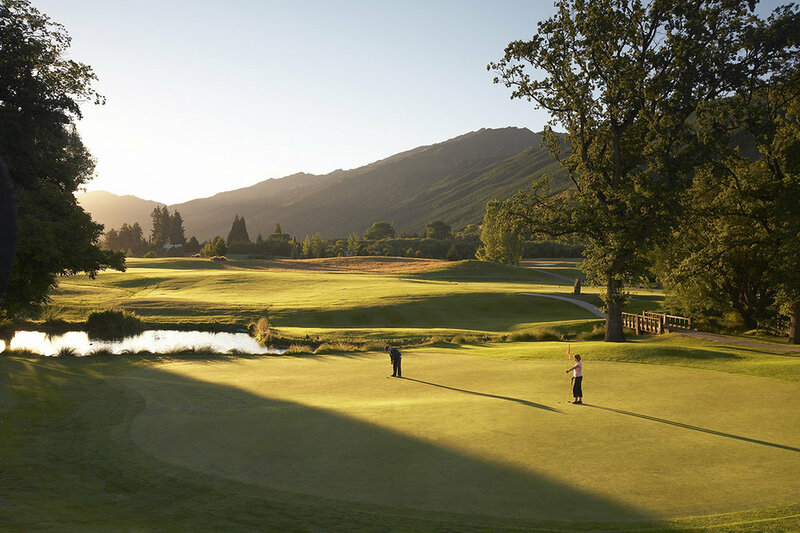 This award winning golf course in Arrowtown was voted Best Golf Hotel in New Zealand at the inaugural World Golf Awards 2014 - it's a must for your bucket list. The Millbrook golf course is designed by renowned professional and master golfer Sir Bob Charles, and renovated by Greg Turner in October 2010 with the addition of the Coronet Nine. Surely one of the most magical golfing venues in the world. The Millbrook Resort offers a 27-hole golf course brilliantly conceived and shaped from the rugged mountain landscape. Peak Golf Queenstown provide a green fees booking service for Millbrook golf club. Book your Millbrook golf course green fees and reserve a round today by calling Stephen Jensen on 021 784 339.